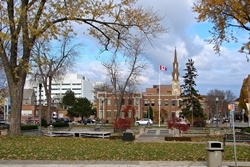 Oshawa mortgage rates mortgage rates are moderately competitive versus other cities. The following are the lowest rates from providers with offices in or near the city. For mortgages beyond Oshawa’s city limits, check the best rates in Ontario. City in Brief: Oshawa is located at the eastern edge of the Greater Toronto Area and is perhaps best known as home of the General Motors of Canada manufacturing plant, earning it the nickname “Automotive Capital of Canada.” With substantial downsizing at the plant, however, the city is now recognized as an education and health sciences hub, home to a total of three post-secondary institutions.